The musical is the brainchild of Matt Werner, a 30-year-old New York City-based Google employee who has never been to Burning Man. This year will be his first. 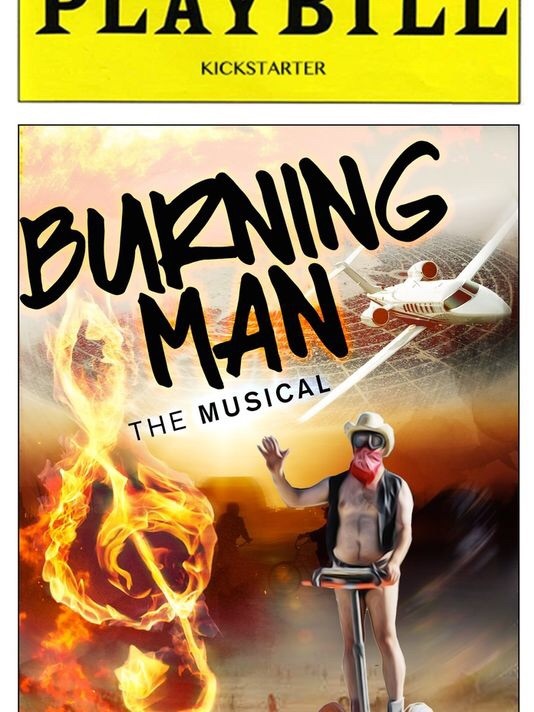 Matt Werner, 30, of New York, is the man behind what could become Burninng Man: The Musical. The Oakland, Calif. native — a former “hacker house” resident and a friend to many Silicon Valley hipster techies — admits that he sees the irony: A virgin Burner orchestrates a musical version of the world’s favorite desert Utopian festival that he has never been to. His own story seems to be a little bit reflected in the plot of the unborn musical. The story line focuses on a 25-year old techie named Joe who lives in San Francisco and commutes down to Silicon Valley. Joe goes to Burning Man one year and it disappoints initially. “His lofty ambitions to network with high-powered executives are not met. Between getting dumped by his girlfriend, dancing with sparkle ponies, and nearly dying while on a vision quest in the desert, he reaches a real low,” according to Werner’s web page. “In the midst of this low, the acceptance, connection, and playfulness he experiences at Burning Man make him start to question his past life of ambition and power in Silicon Valley. The sharing economy and free spirits he meets in the desert make him wonder–is his real mission in life just to make money? Or is it maybe to authentically connect with others and help others?” the synopsis reads. By August 30, Werner would like to debut the opening theme song of the musical in a YouTube studio-produced video, funded by $5,000 that Werner hopes to collect via his web page by April 22. By the summer of 2016, Werner would like to see Burning Man: The Musical as a full production. You can check out his Kickstarter page here. via Google employee to create Burning Man: The Musical. Tags: Burning Man. Bookmark the permalink.